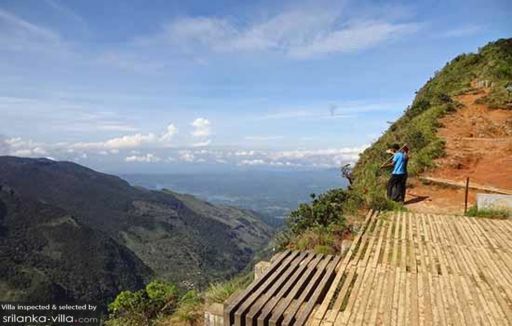 Horton Plains National Park sits on the edge of the Hill Country. The protected area, covered by cloud forest and montane grasslands, is home to a myriad of flora and fauna, many which are endemic to the region. On clear days, visitors will set sight of a picturesque landscape of greenery, jagged outlines of mountains, as well as tea plantation villages sitting in the valleys below. The best times to visit the park falls between 6 A.M. and 10 A.M.